It’s hard to beat the classic flavour combination of fresh tomatoes, mozzarella, and basil. However, this version adds another dimension by adding a rich and syrupy balsamic glaze instead of straight vinegar to top it off. This, combined with a really good quality extra virgin olive oil, is all you need to make this classic shine! Thoroughly wash and pat tomatoes and fresh basil dry. Slice tomatoes into evenly sized pieces, approximately ¼” thick, and set aside. Discard the bottom and top pieces. Slice fresh mozzarella into ¼” thick pieces, as well. 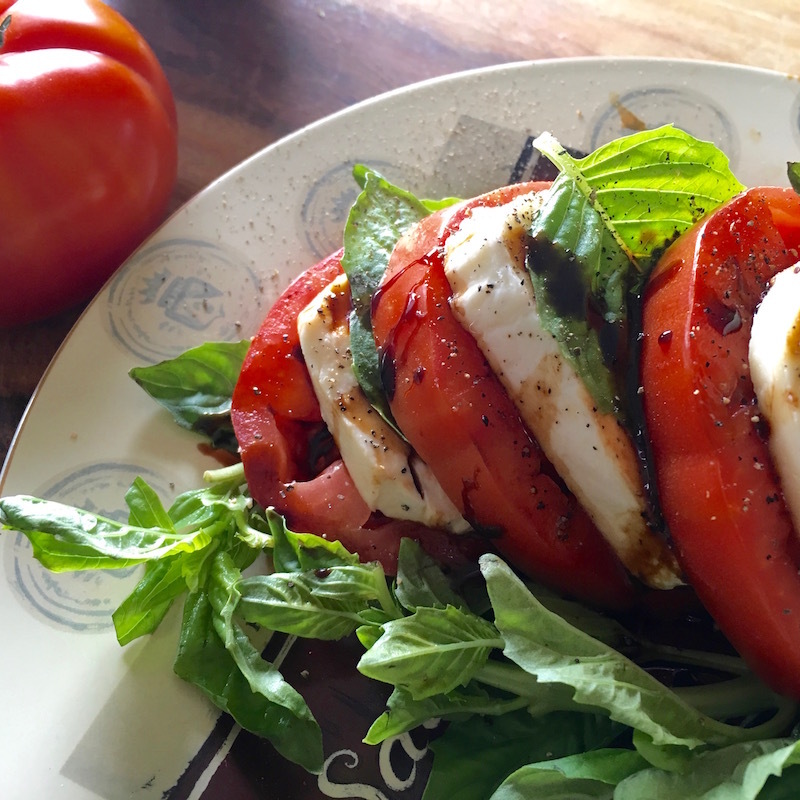 Let glaze cool before drizzling over the fresh tomato, mozzarella and basil. Season with salt and pepper to taste and garnish with additional sprigs of fresh basil, if desired.